The Whole Dog Journal is a well known publication (online and in print) that offers advice on raising and keeping your dog healthy. They are well known for rating dog food but their approach is not only holistic but broad-based. Kula didn’t get where he is on his own! Kula Blue didn’t get where he is on his own. His family invests a lot of time and energy into working with him. They spend their spare time at dog training and dog events. Kula is an integral part of their family life and enjoys the best of everything but as April put it, “He has to have a job.” Kula has more drive than some Weimaraners and without purpose he would find ways to entertain himself. In all likelihood none of these ideas or activities would be appreciated. Weimar choices range from recreational barking on to digging, chewing, and getting into stuff. Not only can these activities be annoying they can be life-threatening. Being involved in an organized sport is one way to direct some of the energy and drive. There are a lot of different sports out there from which to choose. Kula Bleu is involved in one of the most well known–agility. In addition he is becoming known for his involvement with Treibball. 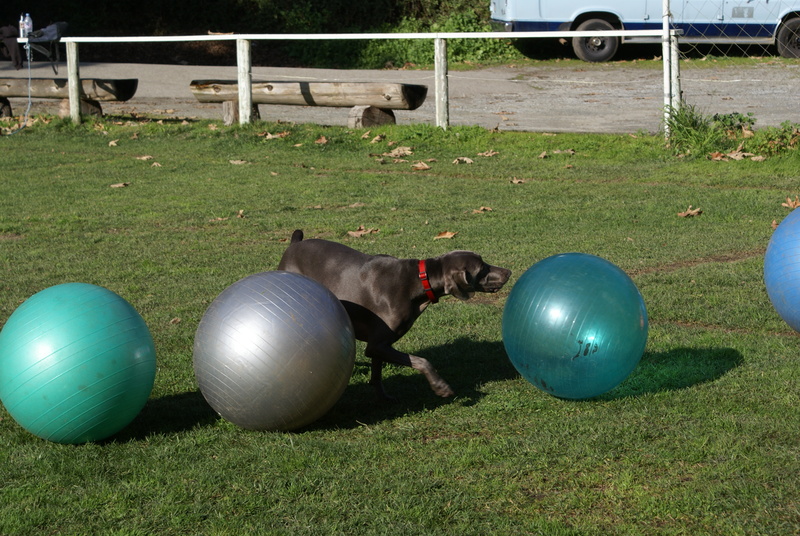 Not every Weimaraner is suited for agility. The Treibball is a new sport that is suited for even those that cannot achieve speed, agility, and withstand the high-impact involved involved in agility. Kula Bleu has become a dual – sport participant. Treibball (also known as “drive ball”) is a very new and very fun sport. Herding dogs are natural candidates, but so are any dogs that like to play with balls and dogs that enjoy shaping games. The Weimaraner need a job or purpose. The focus can be hugely varied although hunting proponents strongly believe a hunting Weim is the happiest. In truth, the Weimaraner is versatile in so many ways. At the same time the are complex. Understanding what makes them tick is important. Too many Weims end up in rescue because people became enamored with the idea of having one of these elegant and stately-looking creatures only to discover they are a lot of work. Some say that a tired Weim is a good Weim. There is a lot of truth in that statement, however, it might be more aptly said, “An engaged and active Weimaraner is a happy Weimaraner.” They desire and need to be an active part of your life. Yes, they can spend a rainy day curled on the sofa watching movies. Nevertheless, exercise of some sort is part of the balance. With patience and understanding there is no limit to what they might achieve. 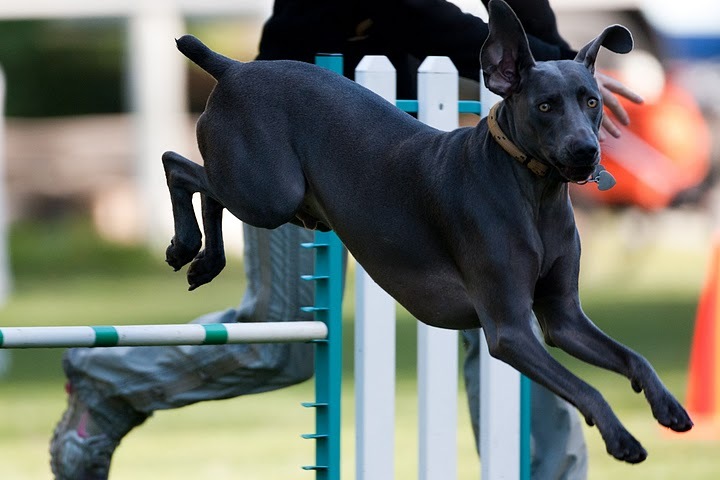 Although not ever Weimaraner is going to excel at a sport, there is some avenue of excellence awaiting them. Much of what they can achieve is based in their relationship with their owner. An understanding of the breed and your Weim’s strengths will take you a long ways. Posted on March 31, 2011, in Previous Pup Update, Special Events, Storm X Zee. Bookmark the permalink. 1 Comment.